Orca whale in Puget Sound. Image courtesy of NOAA. A new paper by Puget Sound area scientists from the SeaDoc Society and their collaborators represents the most complete summary to date of killer whale (Orcinus orca) strandings in the North Pacific. The authors analyzed stranding records dating back to 1925, obtained from scientists worldwide, finding that very few whales are stranded (an average of ten a year over the last twenty years). However, most of those strandings result in death. Only 12% of stranded whales survive. Necropsy of stranded whales can provide important information about life history, health, genetics, and causes of death, but few of the stranded carcasses are thoroughly assessed, the authors report. Until very recently, the study points out, less than 2% of stranded whales were examined. The authors hope to improve the fate of the species through better awareness and attention to future strandings, and what those events may reveal about the state of whale populations in the region. Read more and download the full paper: Barbieri, M.M., et al. 2013. 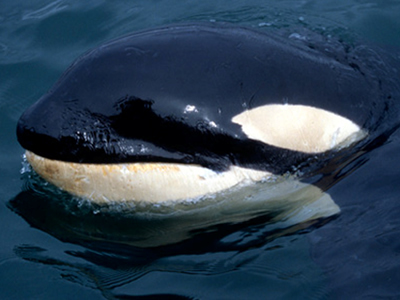 Spatial and temporal analysis of killer whale (Orcinus orca) strandings in the North Pacific Ocean and the benefits of a coordinated stranding response protocol. Marine Mammal Science, early view. doi: 10.1111/mms.12044.